Christen has had a flurry of activity lately on the blog. While I have been bouncing from one shoot to the next in Kathmandu valley, she has been working non-stop to update you all on how the trek unfolded for the teams shooting the Karma Documentary and participating in the trek. We just said a momentary goodbye this evening to Christen; she has boarded her flight back to Seattle. Since I have a minor break in the production schedule, I wanted to begin to share some of the photos and thoughts I had along the trek. 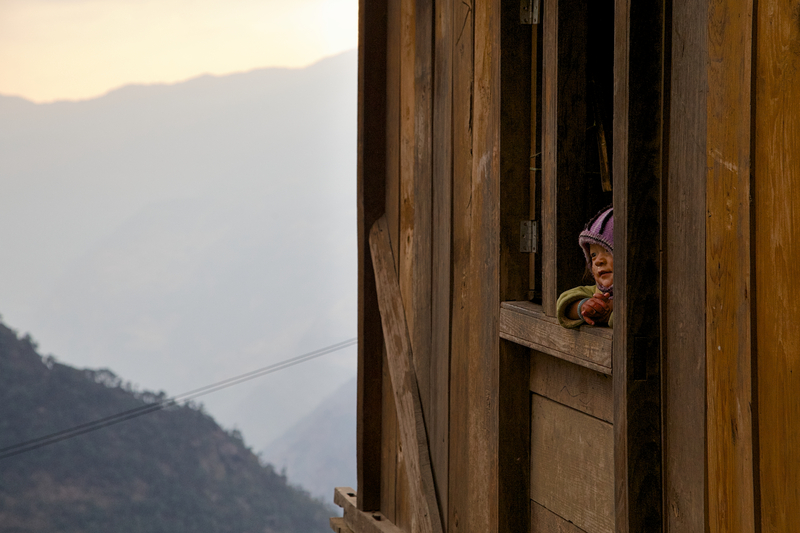 I thought I would start out with a photo essay about our late arrival (and very brief layover) in Kathmandu, our landing in Lukla, and our immediate launch onto the trail. I will be continuing to film in Nepal over the next several weeks to round out the stories of many of the wonderful people who make tourism a reality in this country. Stay tuned. More to come! 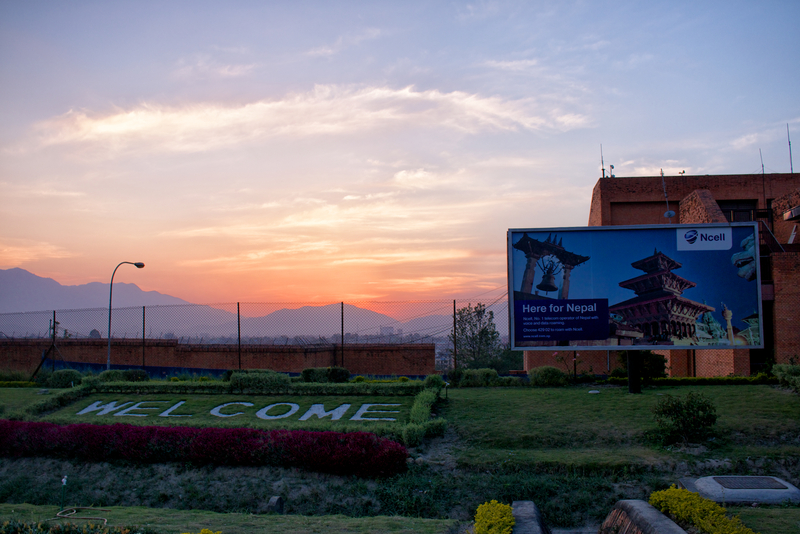 After a lengthy journey (with the bonus of a surprise extended lay-over in China), we were welcomed to the Kathmandu international airport by this sunset. 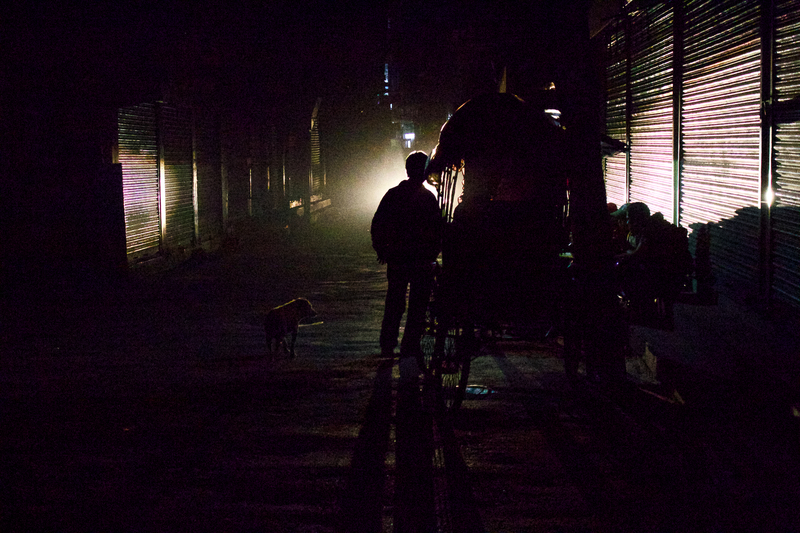 Even though it was the Nepali (Hindu) New Year, the streets of Kathmandu were practically deserted by the time we finished our final gear check at about 1:00 in the morning. This rickshaw driver is having a break after a very busy night. 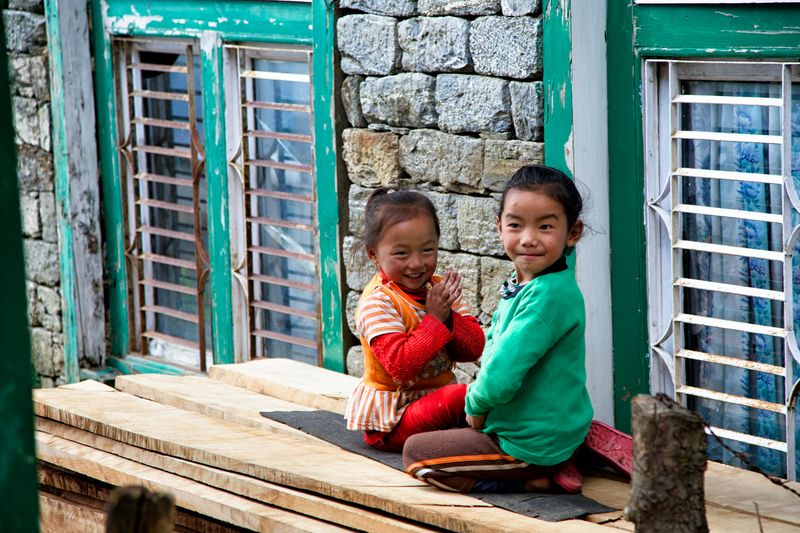 Lukla is the launching point for many treks in the Everest region, including ours to Mera Peak and the popular Everest Base Camp trek. It is a small bustling town sitting atop a ridge hosting one of the worlds most dangerous landing spots – Tenzing-Hillary Airport. We were only here long enough for breakfast, yet it was obvious that tourism has fueled the vast majority of this community’s economy as it has grown over the last 15 years. Many farmers from rural surrounding areas wait outside the gate of the airstrip, hoping to be hired a porter for a trek. Prime season is only a few months in the spring and fall, and the competition for work is high. 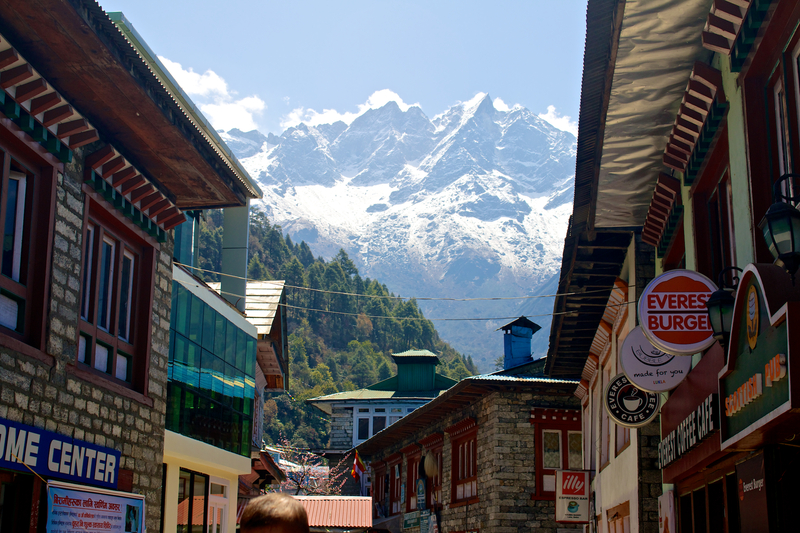 After breakfast in Lukla, we hit the trail. We were quickly schooled on the concept of “Sherpa flat”. If your day starts and ends at relatively the same elevation, the trail is said to be flat. However, you will still likely climb up and down ridges that can be up to 3000 ft throughout the day. From this vantage, you can see our rocky trail on the right. 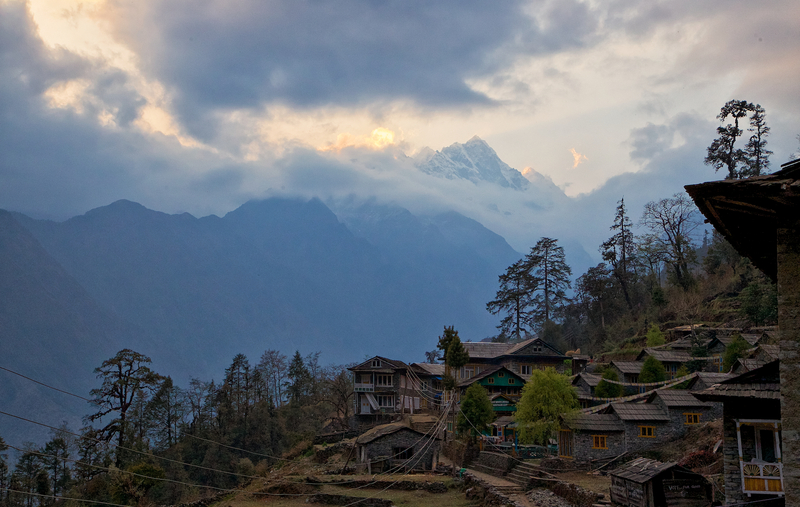 Lukla is the village on the ridge halfway up the distant mountain, between the trees. 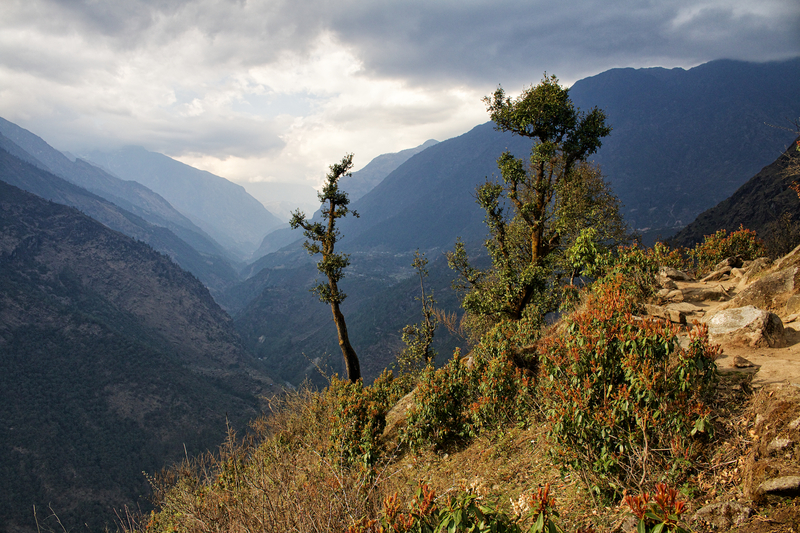 Our lunch spot was at the bottom of the valley by the river… Sherpa flat. Christen and Karma were enjoying the sun on the trail earlier in the first day. The children along the trail were very excited to see us. 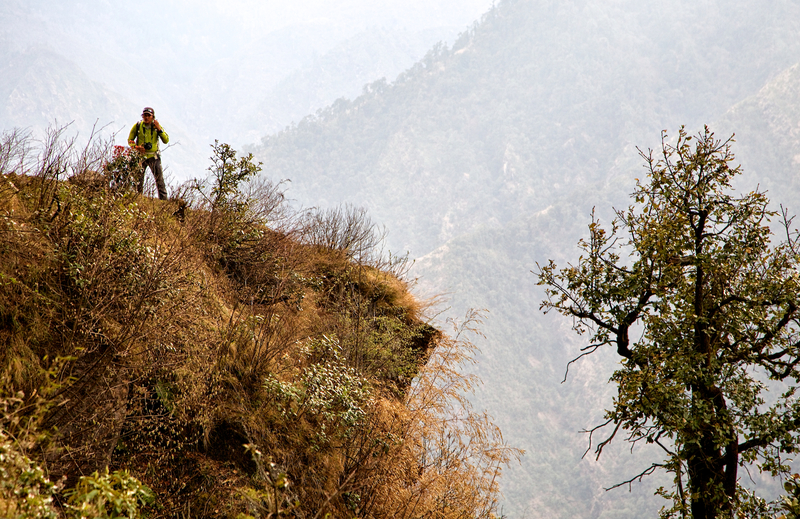 Our trekking route took us through areas seldom visited by foreign tourists. Karma was always making sure Christen and I were bringing up the back of the trekking party safely. We liked to think we were the slowest members because of needing to stop to film, but the others possessed far more trekking and mountaineering prowess. Here, Karma is radioing ahead to Glen that we are learning how to walk in the mountains properly – small steps. After a first day that seemingly lasted for weeks (including all of our international travel mishaps), we finally reached our first lodge in the Himalaya. The sunset gave us a mystical glimpse into the typical weather patterns we would see most days. Clear mornings would suddenly cloud up in the afternoons. Previous PostChristen ~ While they summitNext PostLuke ~ The second day always seems the hardest.